This episode of Business Planet comes from the Danish city of Odense, which is famous for its robots. Robotics is a fast developing market with a wide-ranging impact on Europe’s capacity to maintain and expand a competitive manufacturing sector. It also offers new solutions to societal challenges from ageing to health, smart transport, security, energy and environment. The Odense Robotics Start-up Hub in Denmark is an example of an enabling environment for robotics. It provides technical, strategic and financial support to help talented hardware start-ups to get their product ready for the market and create new jobs. The robotics cluster in Odense has a 25 year history, with the cluster organisation Odense Robotics founded 2 and a half years ago. Today Odense Robotics is a high-tech ecosystem consisting of robot and automation companies, suppliers, education and research facilities, as Business Manager Mikkel Christoffersen explained. Euronews correspondent Serge Rombi was invited to take a closer look at the ecosystem of startups which has been developed by Mikkel. 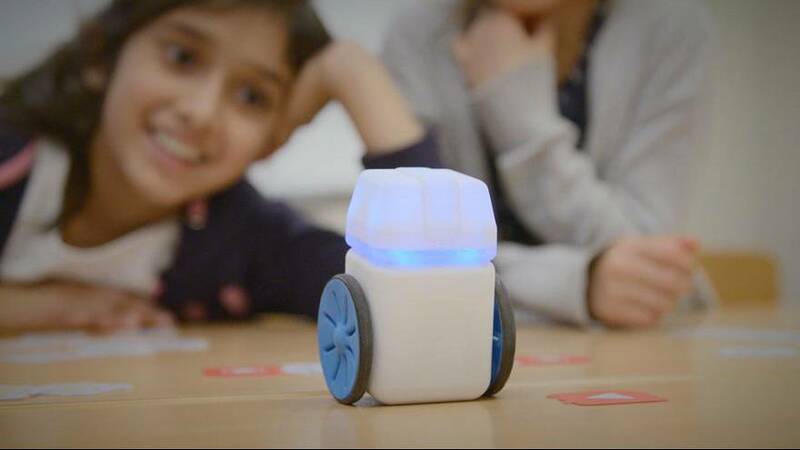 This small, educational robot was designed and manufactured in Denmark. It helps pre-school and primary school children explore and understand coding, mathematics, language, and music. Kubo was developed by two young entrepreneurs, still engineering students a few months ago. They quickly realized the efficiency of this cluster. Thanks to support from the cluster, the company quickly raised funds and established a solid business model. Mikkel explained that the collaborative robot is a robot that can work together with humans, that is highly flexible, and that is really strong in automating small and medium sized companies. The number of these collaborative robots could increase from 10,000 today to 700,000 by 2025. European funding is available to support innovation and research in the field of robotics. Euronews asked Mikkel Christoffersen what advice he would give European entrepreneurs who dream of integrating with the robotics sector. Claus Risager is an active member of a cluster organisation in the Danish city of Odense which is famous for its robots! He is also co-CEO of Blue Ocean Robotics.